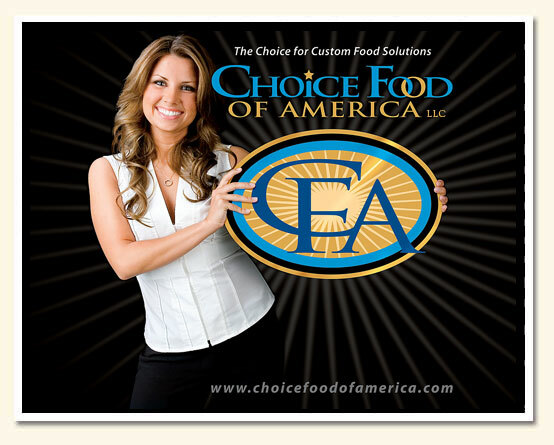 As a marketing-driven manufacturer, Choice Food of America, LLC is in a league of its own. 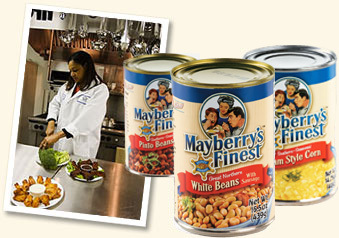 Our USDA-inspected plants produce a range of shelf-stable and prepared foods for some of the most recognized regional and national brands in the category. In addition, Choice Food of America provides innovative marketing and brand development serivces for a portfolio of retail food brands. Our expertise and breadth of capabilities enable Choice Food of America to provide a full suite of services - from brand and product ideation through distribution and marketing support. We manufacture shelf-stable prepared foods and canned meats such as chillis, soups, stews, pasta & meat dishes and rice & bean dishes. Choice Food's customers run the gamut — from recognized restaurant and grocery chains to food manufacturers, who use our items as ingredients in recipes of their own. We have built our reputation on delivering high-performance, innovative products to benefit your bottom line and enhance your menu selections. Our experts are highly skilled at creating custom formulations and low-minimum production runs. We have shortened the average product development cycle to help you create, test, and market your new items quickly and cost-efficiently. Our broad capabilities, combined with the network and resources of the Choice Food Group family, give us an unparalleled advantage in the industry. © Copyright 2013 Choice Food Group All Rights Reserved.